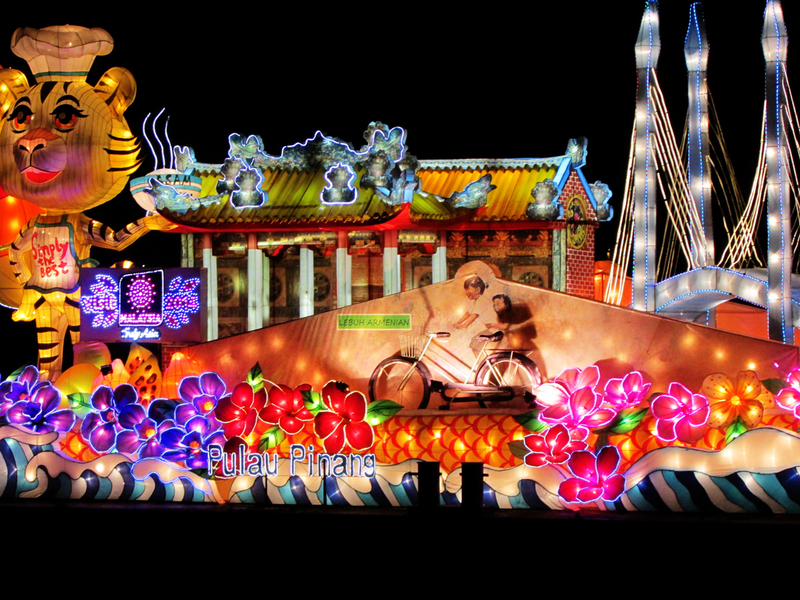 The colorful Penang Boat Float reportedly won the 1Malaysia International Tourism Night Floral Parade which was held at Putrajaya back in June 2014. After the end of the festival in Putrajaya, the boat was brought to the Karpal Singh Drive (formerly known as the Nautilus Bay or Jelutong Promenade) for display to the public every night. 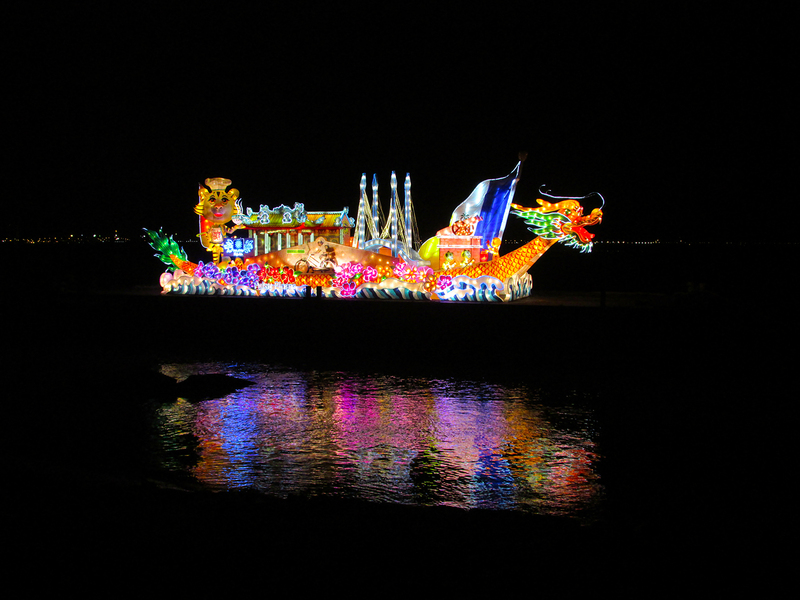 The boat showcases several beautifully lit places of attraction or landmarks in Penang. 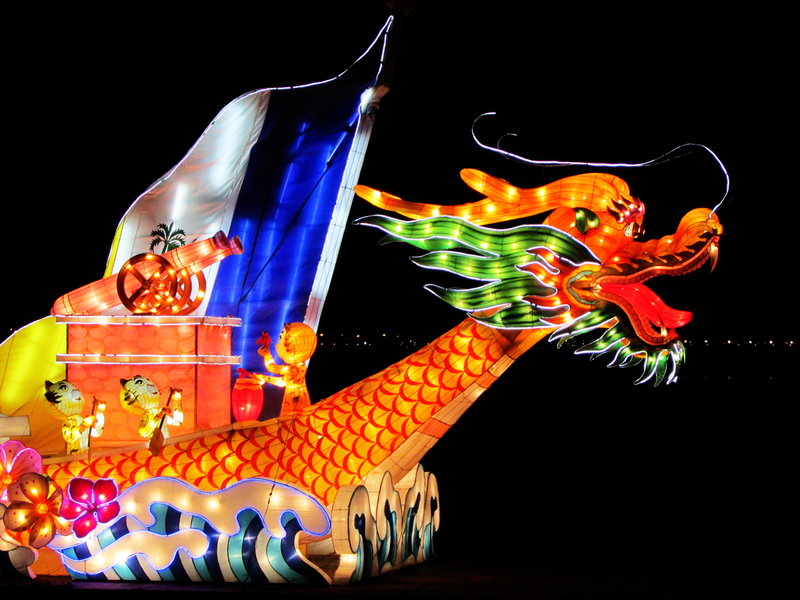 The boat is also designed with a dragon head and shape, to represent the annual international dragon boats festival held on the island.